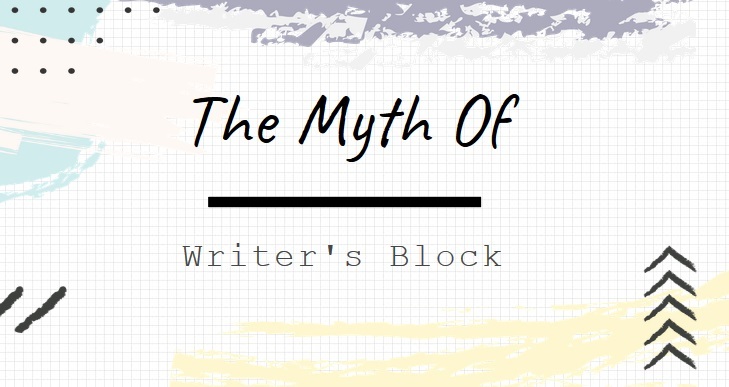 The Myth Of Writer’s Block – Write Here, Write Now! I have a complex relationship with the concept of ‘Writer’s Block’. With all my energy and time focussed on building my Learn To Love Your Words consulting business, I’ve neglected my fiction writing (and this fiction writing blog!). The moment you give something a name, it becomes a thing! You can’t go into your job and tell your boss you have ‘work block’, so why do we let ourselves off so easily when it comes to writing? 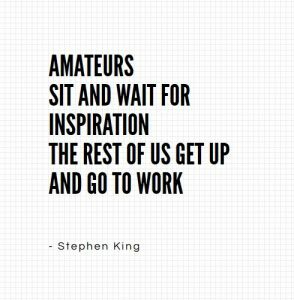 After all, if you are serious about making a career out of writing, it becomes a job. You may still have another job that regularly pays the bills (in my case a consulting business), but the moment you consider your ‘hobby’ of writing as something serious, as ‘another job’ – the moment you have to stop fooling yourself with fluffy concepts like writer’s block and start showing up for work and being productive! You are your own boss when you embark on a creative project, manage yourself as you would if you were paying someone else to work for you. I didn’t set out writing this to be a bit of a nag – I’m having a word with myself as much as I am with my readers – but when you look at your struggles from a purely objective standpoint, you can start to formulate appropriate solutions. I fully accept, and embrace, that we all have peaks and troughs in motivation and some days we just can’t muster our mojo. The first step is recognising when you need a boost, then seeking out the help you need to move on. When you enjoy doing something, you will always find time to do it. As a writer, it’s your job to tap back into the joy you have for writing and storytelling and channel that positive energy into getting your backside in that chair and just writing. The first draft is supposed to be crap. The real writing happens in the editing process. Procrastination is part of my process, too. I have to ruminate on an idea. While I’m busy avoiding writing, my subconscious is churning away in the background, building a case for itself to be let loose onto the screen. I like Jerry’s idea of actually ‘scheduling in’ procrastination time. Knowing and accepting that there is more to the process of writing than just writing makes it so much easier to accept that it will always take more time than you originally thought it would. By accommodating the space to procrastinate, or simply ‘think’ about the project, you’re much more likely to set yourself a realistic deadline.